If you're looking for a decedent mocha, this is the one! The "double" in this satisfying latte is not only for the dark chocolate syrup, but for the dark roast coffee. The combination of the two plus homemade caramel syrup makes this a truly satisfying treat for your sweet tooth. 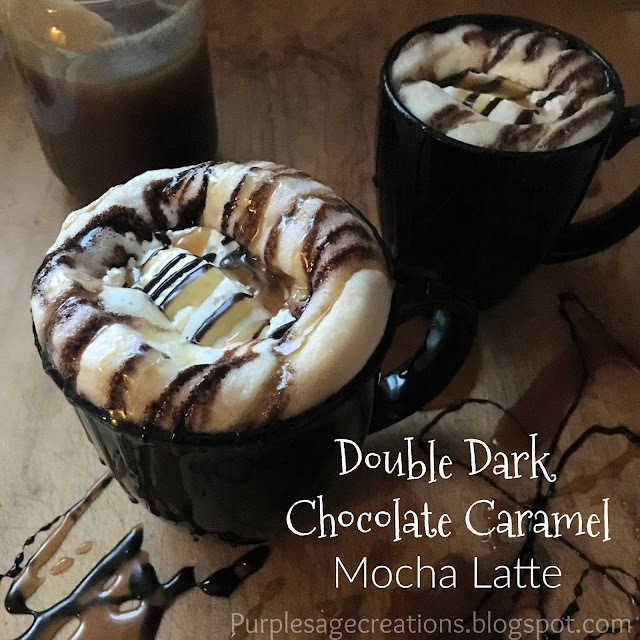 Start by making the easy gourmet style mocha I shared on day 1 of the 12 days of Mochas series. Use the darkest roast coffee available, even double roast if you like it really strong. Then substitute the regular chocolate syrup with a dark chocolate syrup. Whip of some whipped cream and add caramel syrup. You can easily buy this at the store, but I know of a super quick and easy caramel syrup recipe you can make on your stove. It's the secret ingredient to making this mocha extra special.